Atmospherics: Most Gomantak/Mangalorean restaurants serving seafood are of the strictly no-nonsense variety. However, you cannot be in 1 Style Mile and still be no-nonsense, so the interiors (after a slightly grungy entrance) are stylish without being fussy. There’s an extremely popular terrace with gazebos, a small dining room and tables under the trees. Downstairs is where the main restaurant is, with a secluded party room. Table talk: The best thing on the menu is Crab Butter Pepper Garlic. (Rs 3,500-Rs 4,500 depending on size). The price is a good deal more than the competition, but the quality of Trishna’s crab is nothing that we have seen in this city. 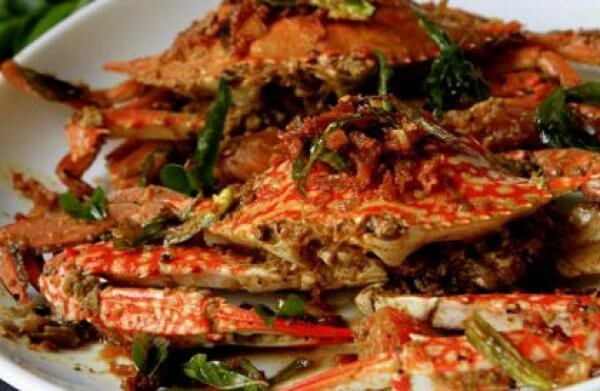 They are brought in from Sri Lanka and are the tastiest, meatiest, sweetest crustaceans you can find. The butter is pure Amul and the garlic is diced finely. I would have liked some pepper too, but that is a very minor quibble. Where you do get pepper, that too in generous quantities, is in the dry dishes billed as Hyderabadi. I have tried ravas Hyderabadi tikka (Rs 1,000), pomfret Hyderabadi tikka (Rs 1,350) and prawn Hyderabadi tikka (Rs 1,400). They are all grilled and coated with generous amounts of coarsely pounded black pepper. Next to the crab, they are the best things on the menu. Other unmissables on this ultra long menu are the crab soup (Rs 325), coriander pot noodles non-vegetarian (Rs 325) and Dal Hyderabadi (Rs 275). For those who don’t eat shellfish, Trishna has always had a large menu for poultry and lamb as well as an entire page of vegetarian food. Plus and minus: The same menu and the same chefs as the Mumbai branch. Of the 10 page menu, just the first three are seafood-centric. The Chinese section does not even pretend to be authentic. As such, it does not showcase the superb quality of seafood to its optimal extent.